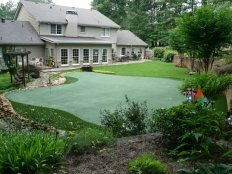 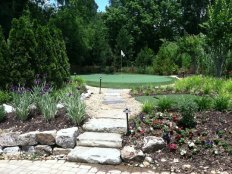 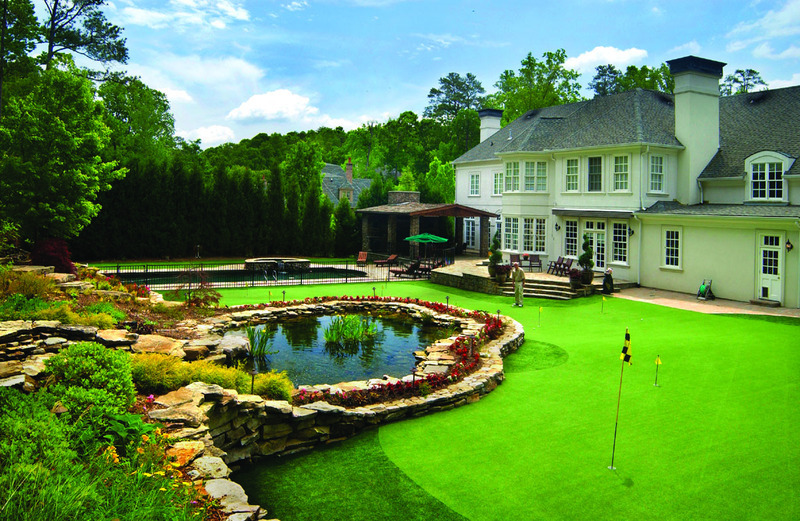 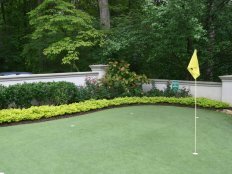 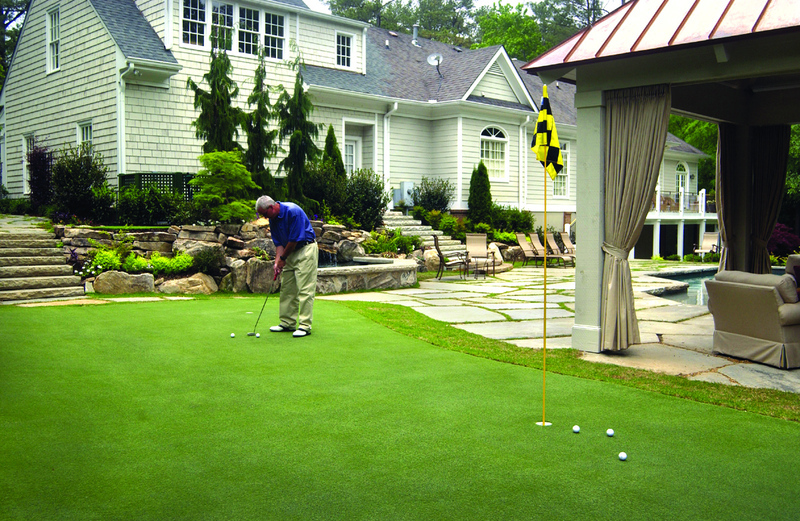 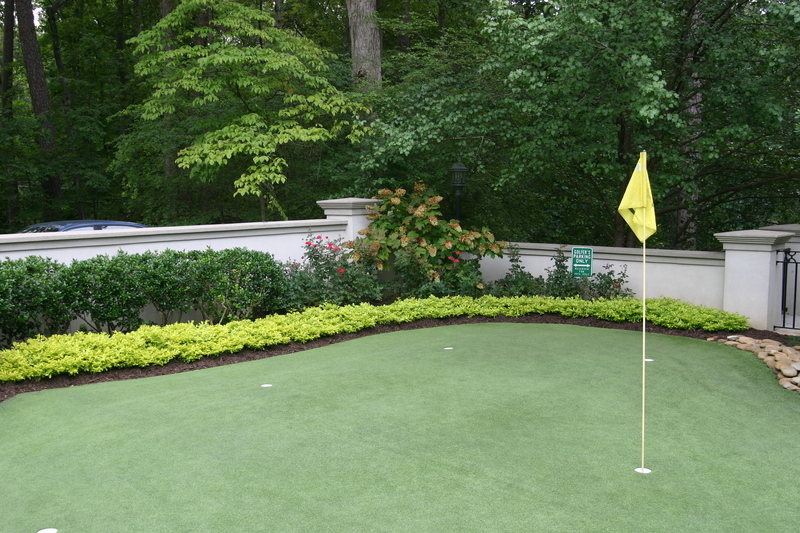 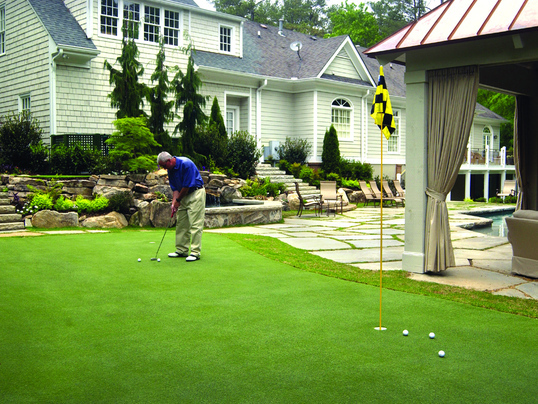 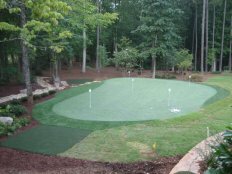 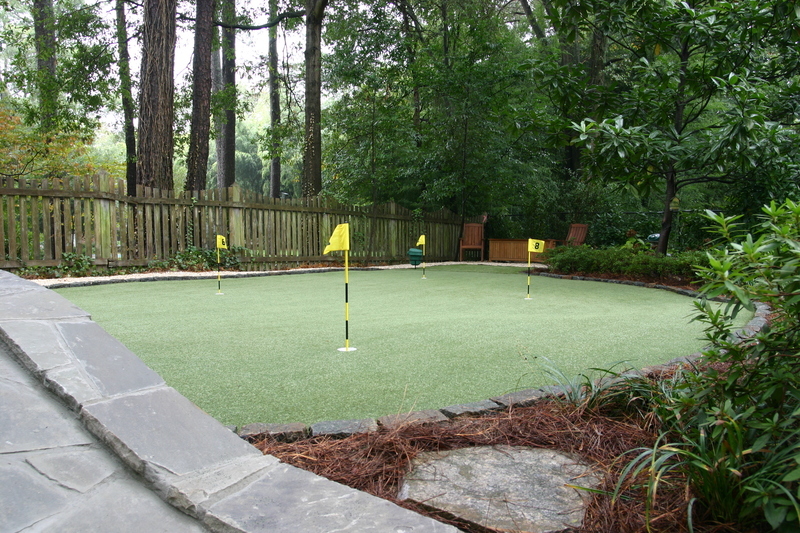 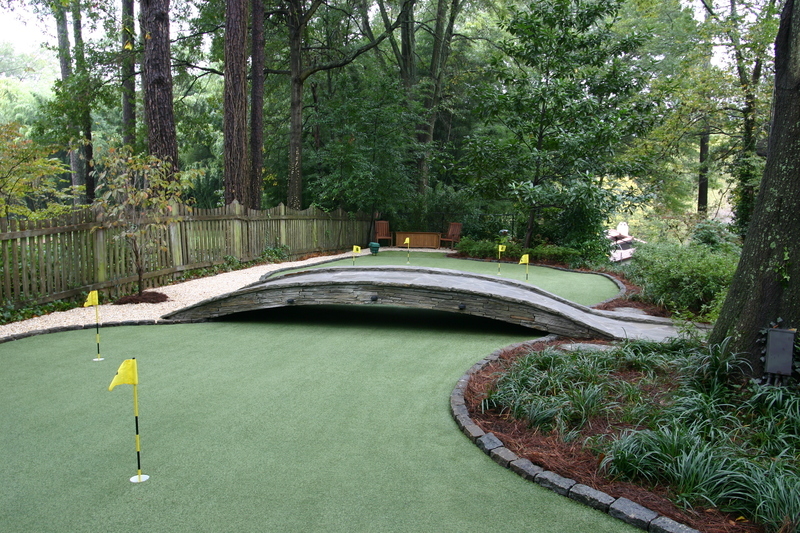 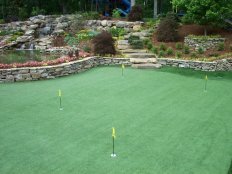 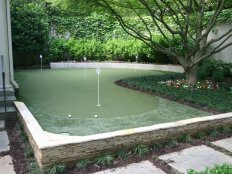 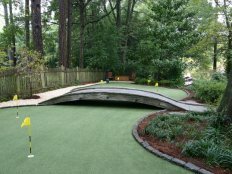 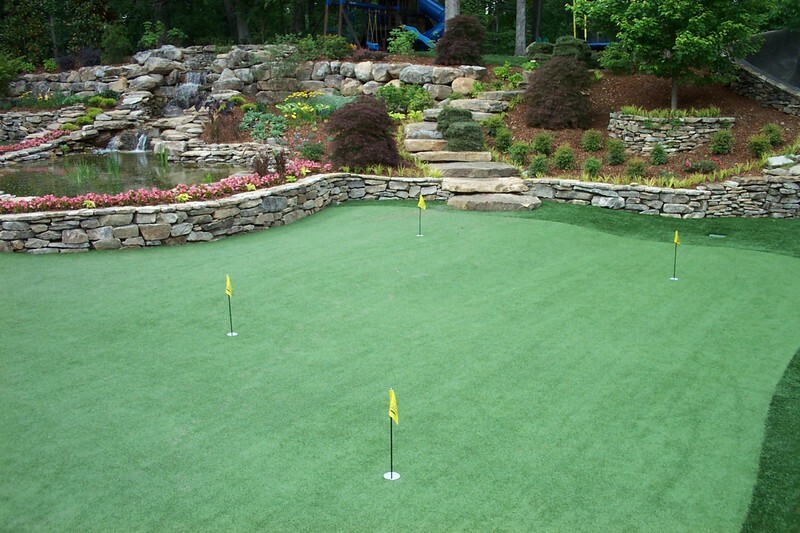 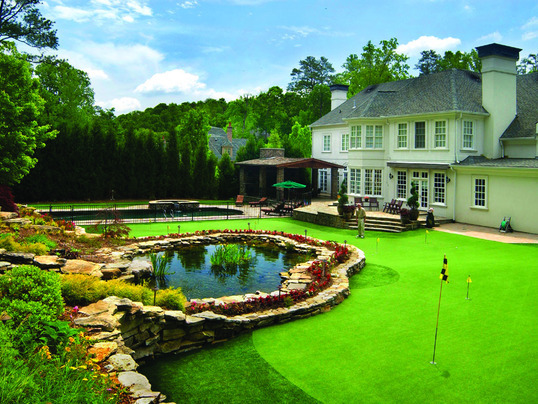 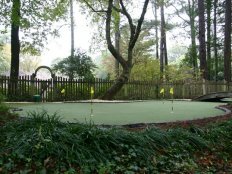 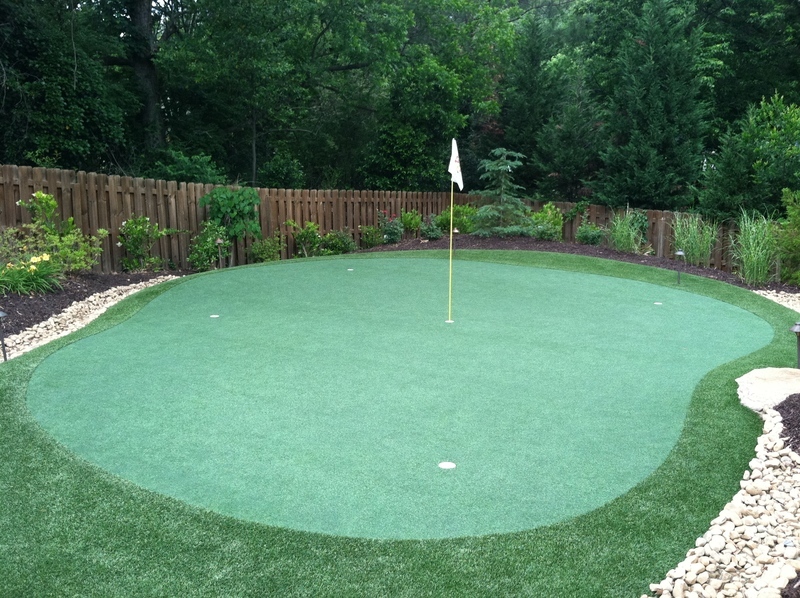 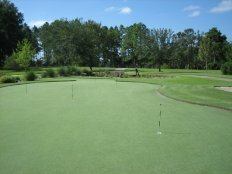 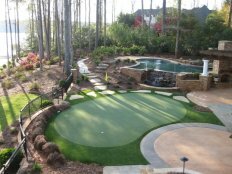 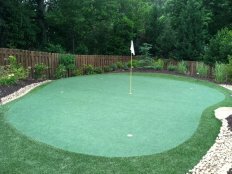 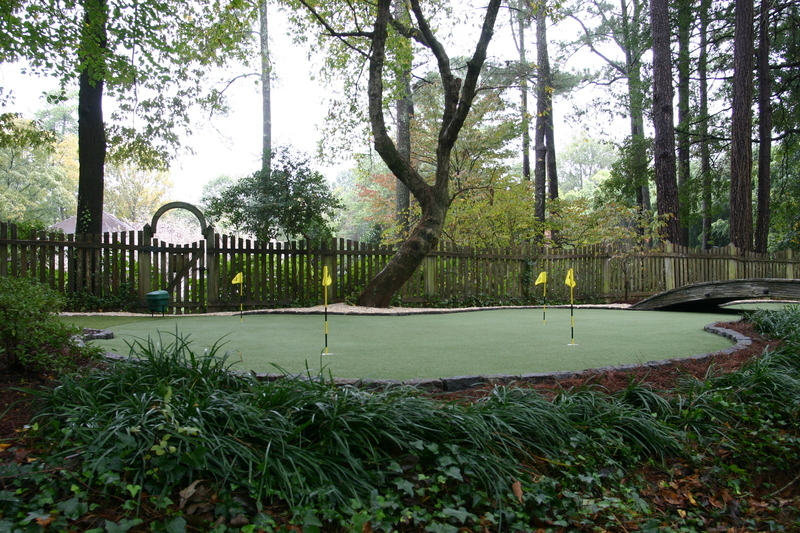 Tour Greens Charlotte is the certified dealer and installer of Tour Greens backyard putting greens and short game greens for the greater Charlotte metro area, Asheville, Winston-Salem, Greensboro and the state of North Carolina. 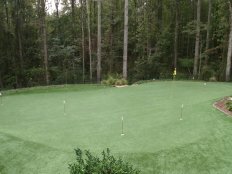 Led by Scott Alphin and Jason Collins, the Tour Greens Charlotte team provides professional installation and tour-quality artificial putting greens that mimic the performance of natural bent grass, that will last for years to come. 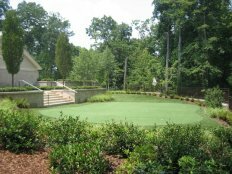 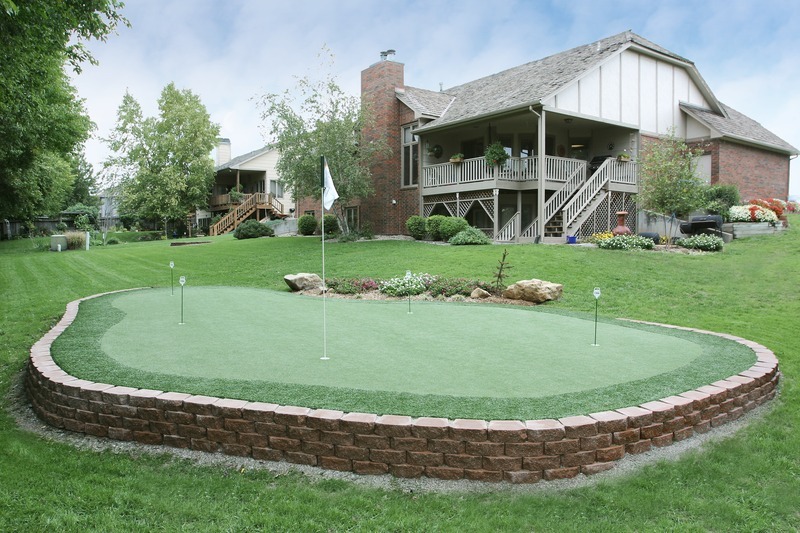 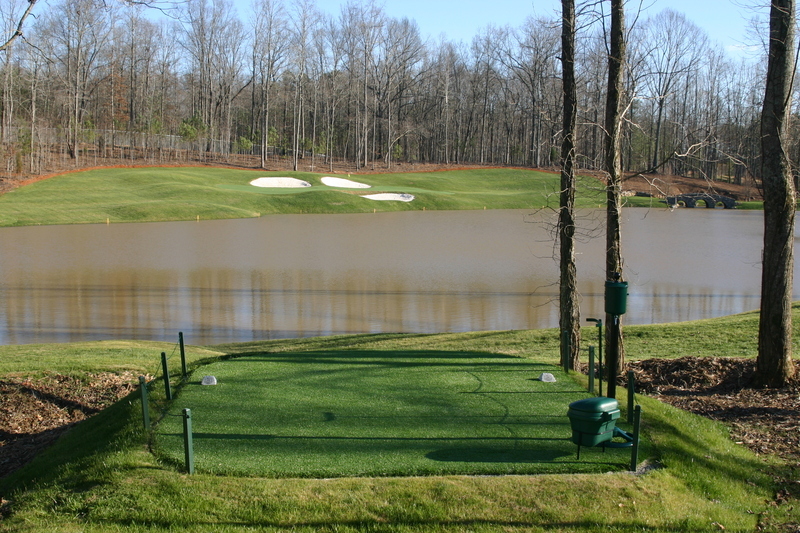 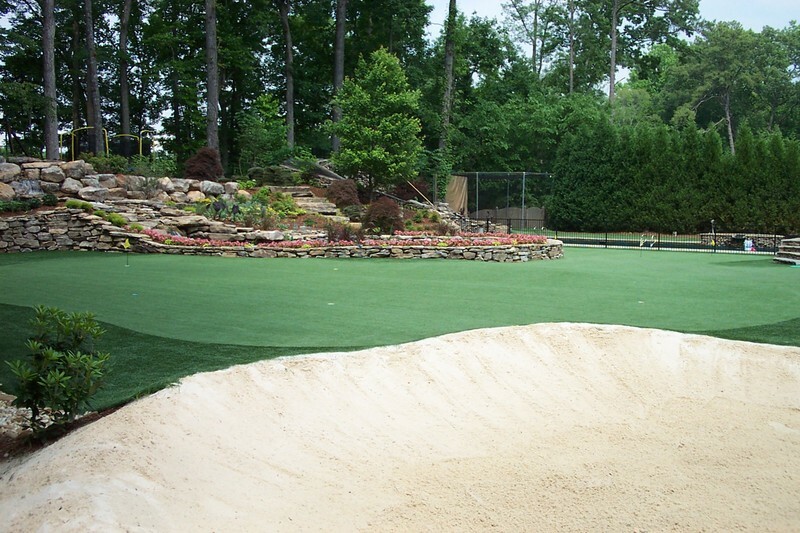 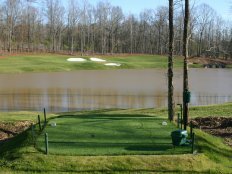 In addition to backyard putting greens, Tour Greens Charlotte has extensive experience developing residential and commercial recreational surfacing solutions, including multi-sport game courts, synthetic turf systems and artificial lawn and landscapes. 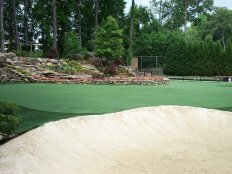 Tour Greens Charlotte designs and installs tour-quality artificial putting greens that perform like natural, bent grass greens. 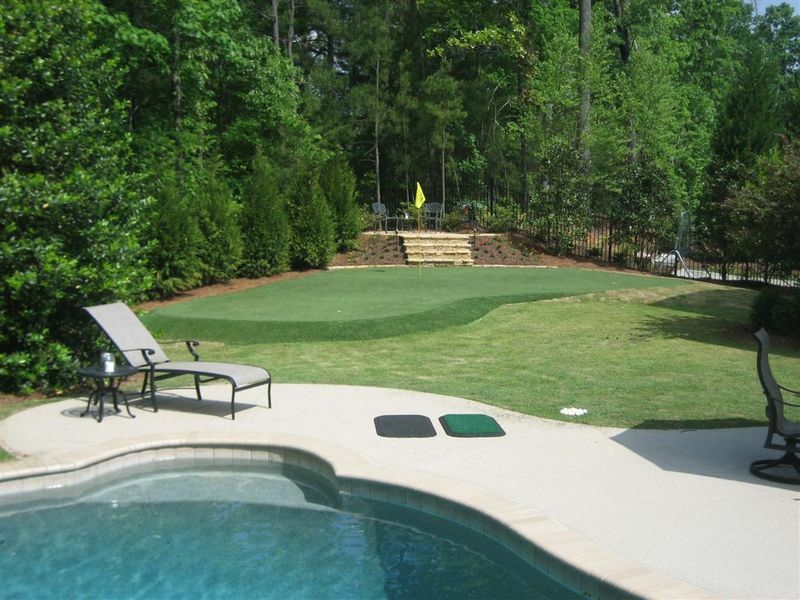 Our team will work with you to create the ultimate golf experience in your backyard. 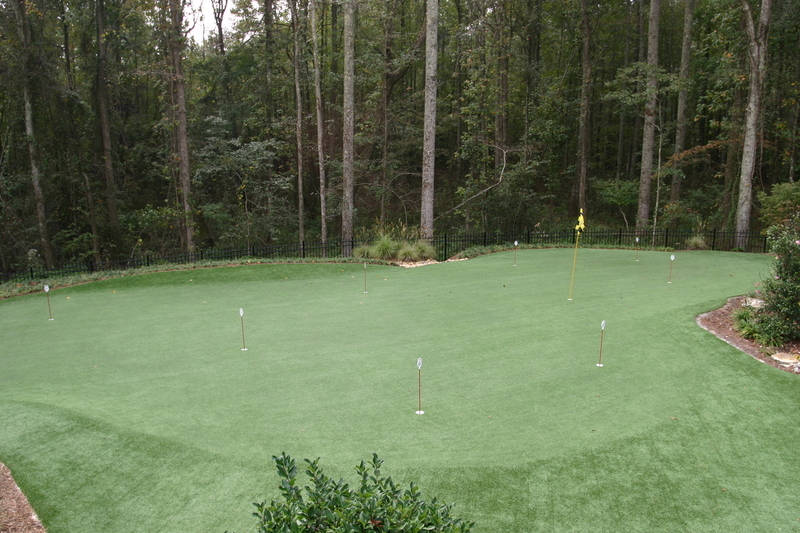 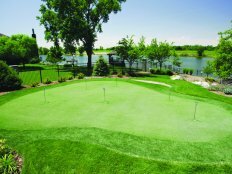 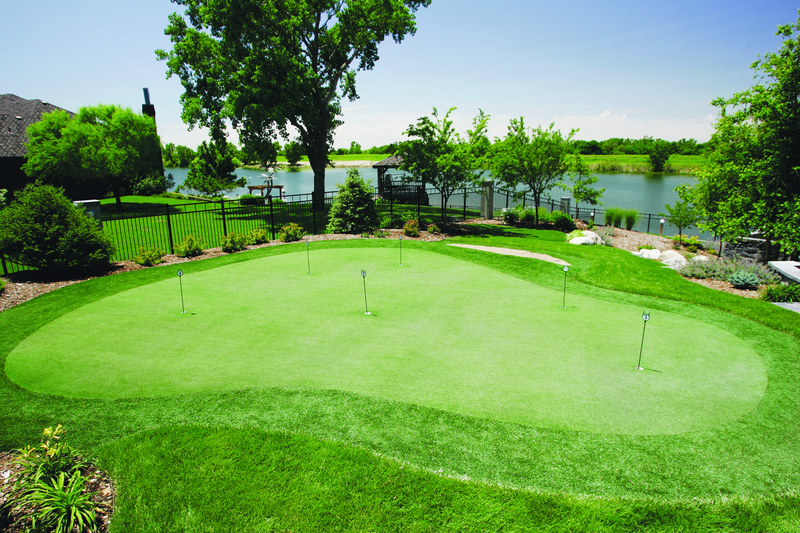 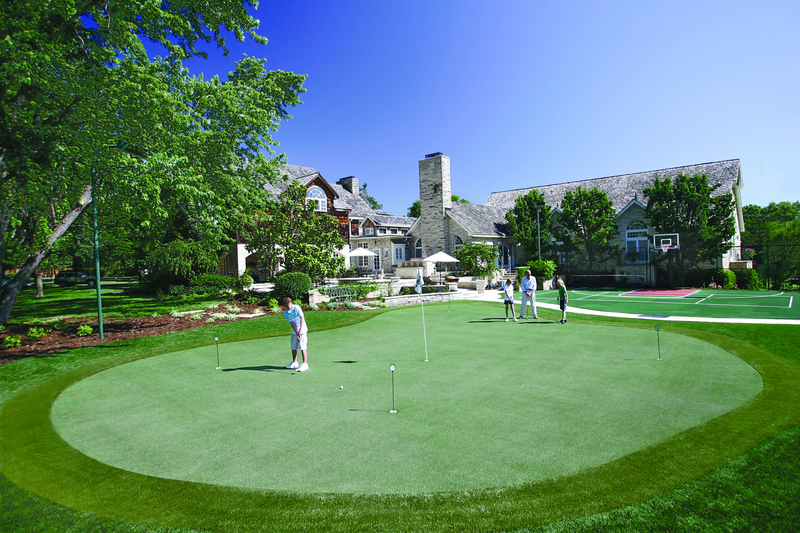 You'll be able to practice every aspect of your short game on a perfectly manicured, high-performance putting green. 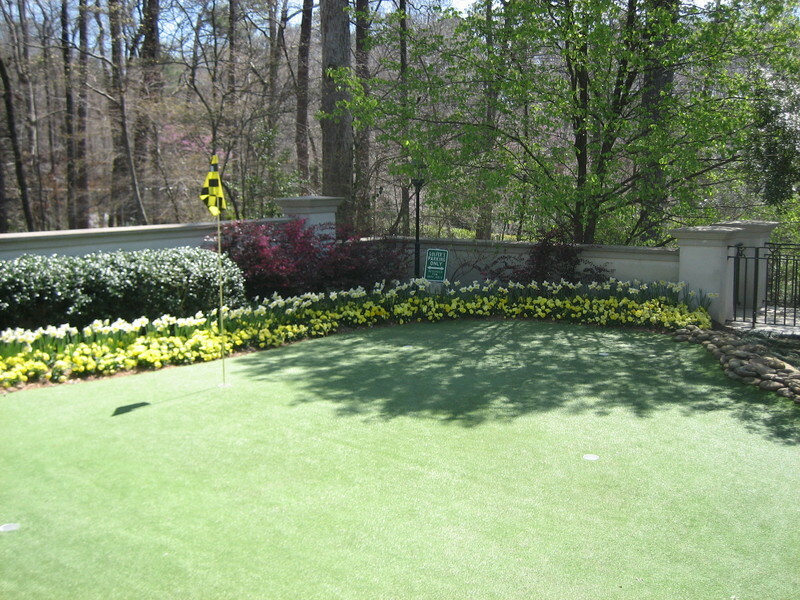 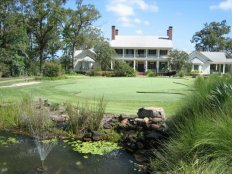 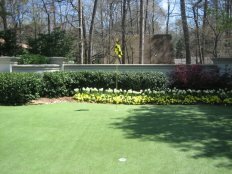 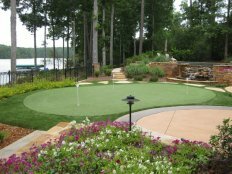 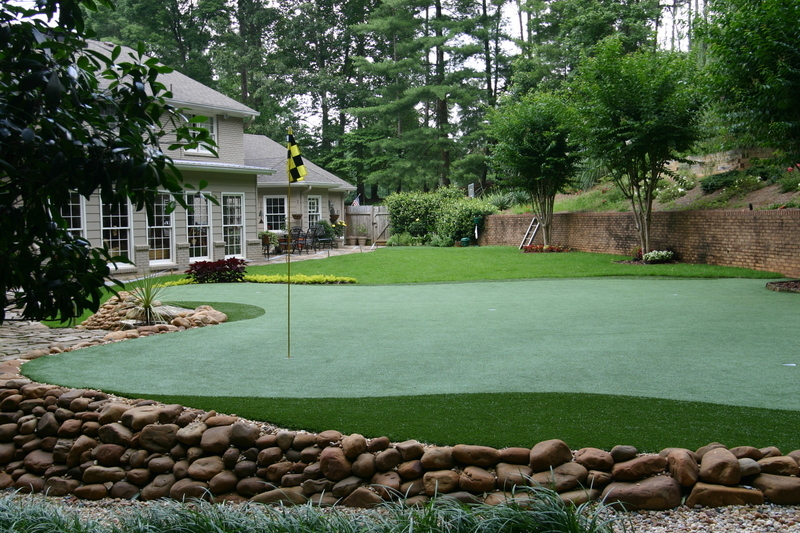 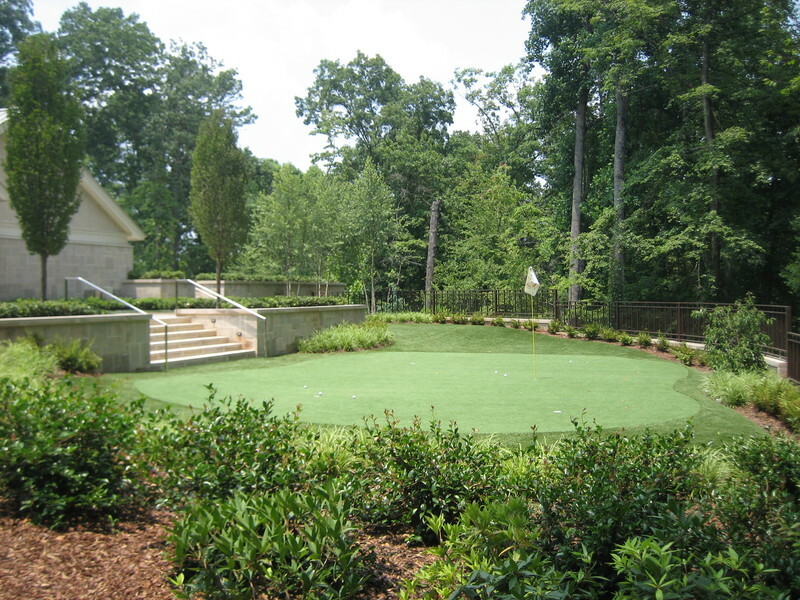 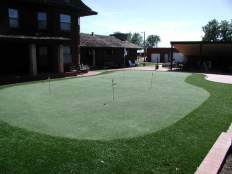 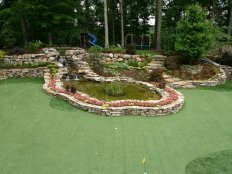 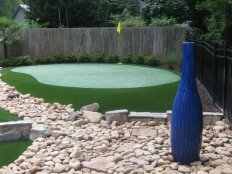 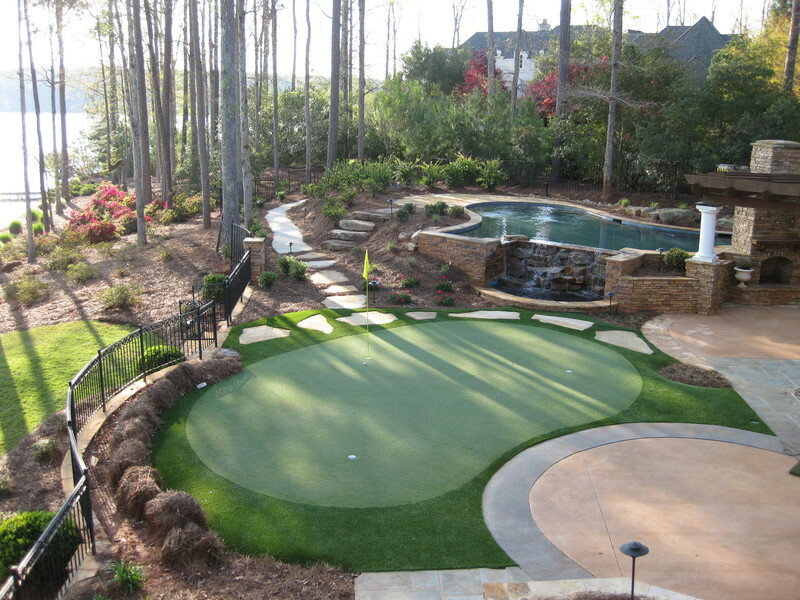 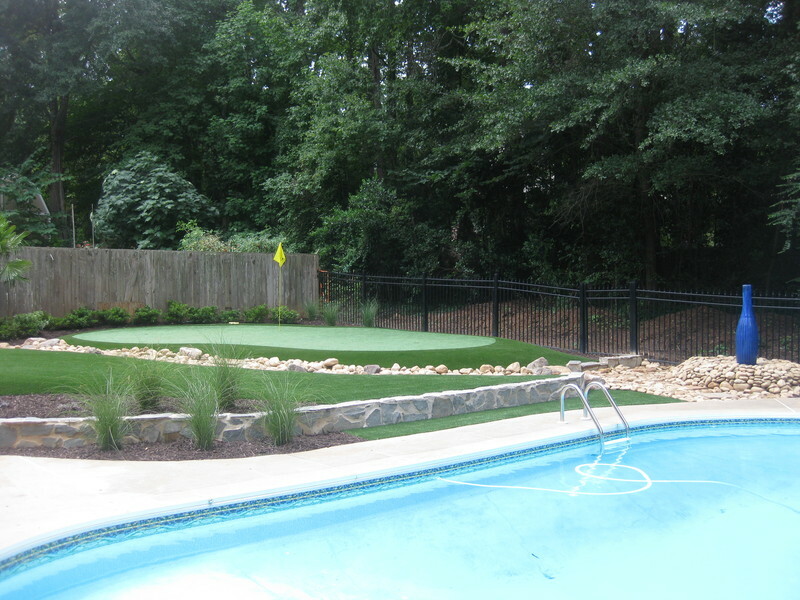 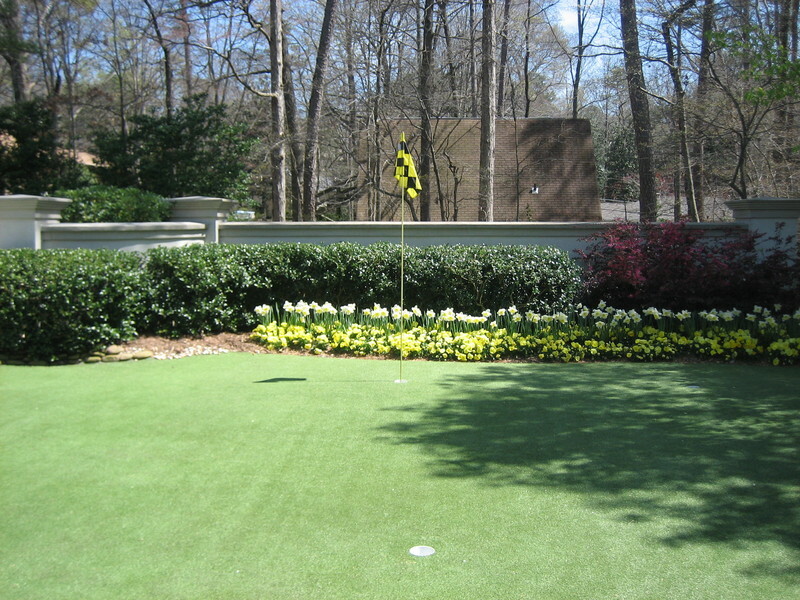 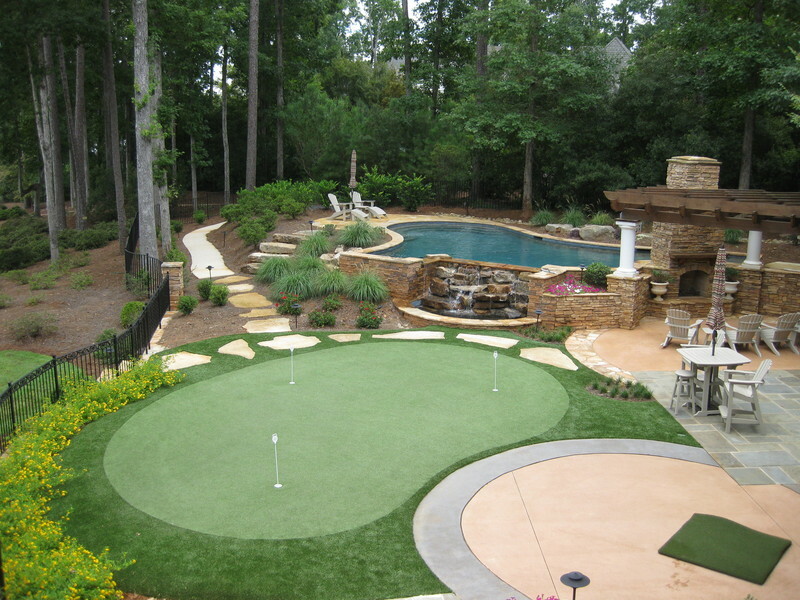 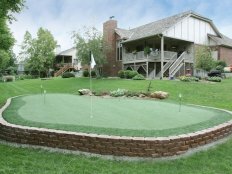 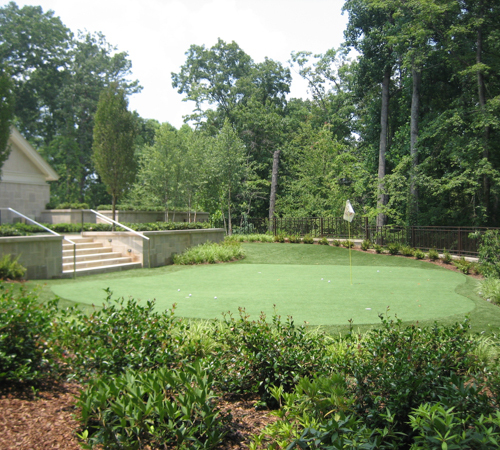 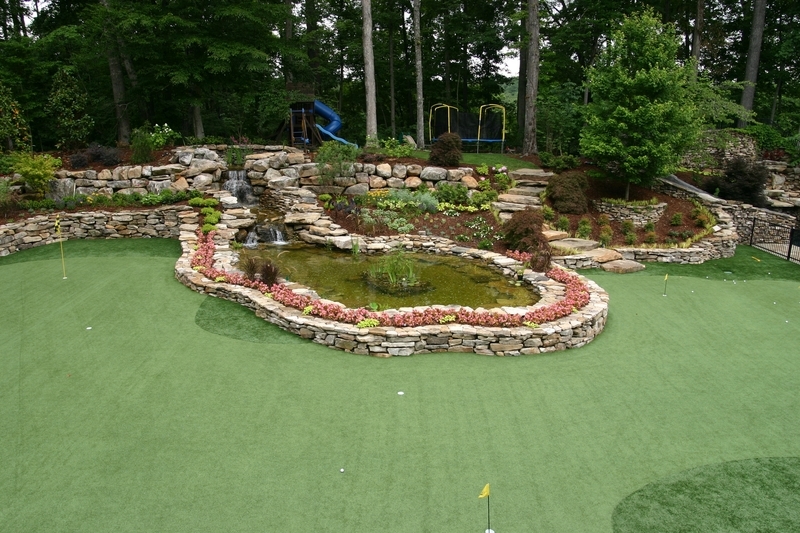 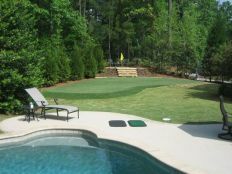 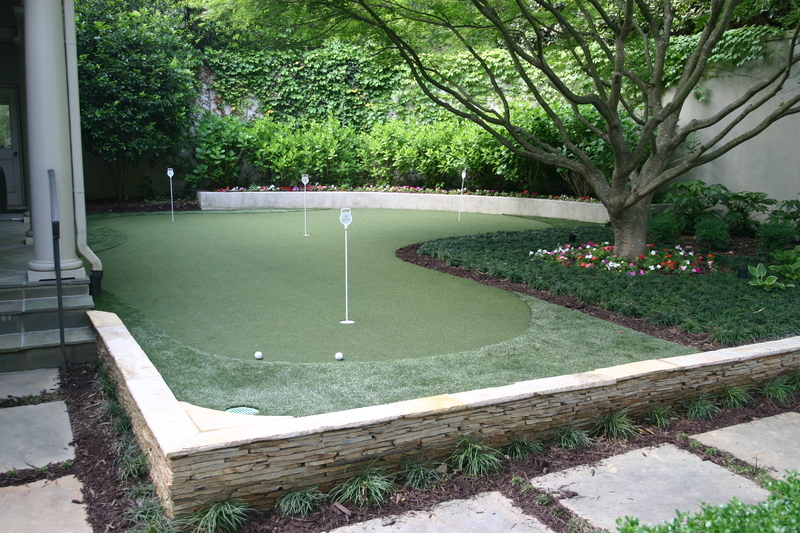 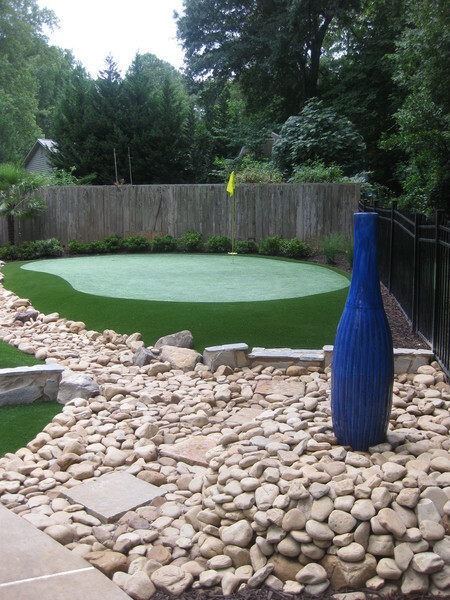 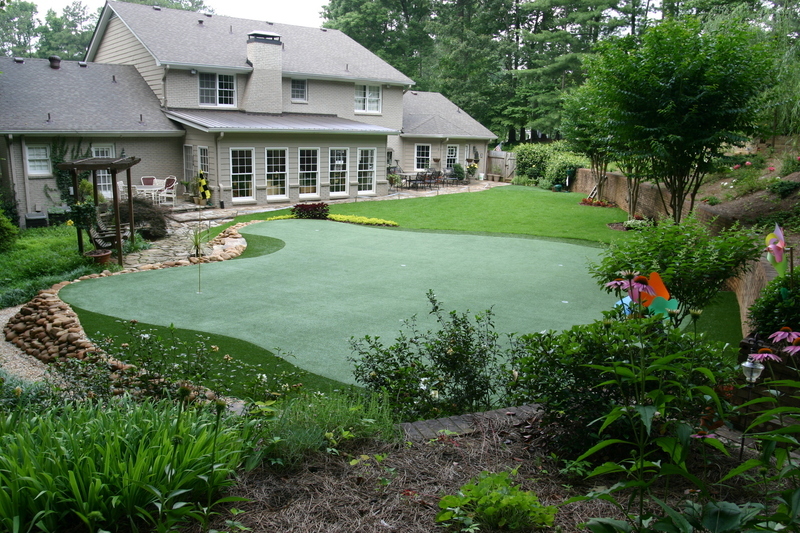 Tour Greens Charlotte can design a fully integrated artificial lawn or landscape for your home or business. 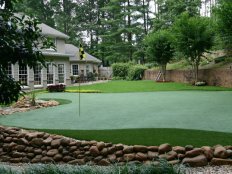 Our team uses the highest-quality turf on the market to ensure that your artificial grass lawn will look like a healthy, professionally-maintained lawn, all-year round. 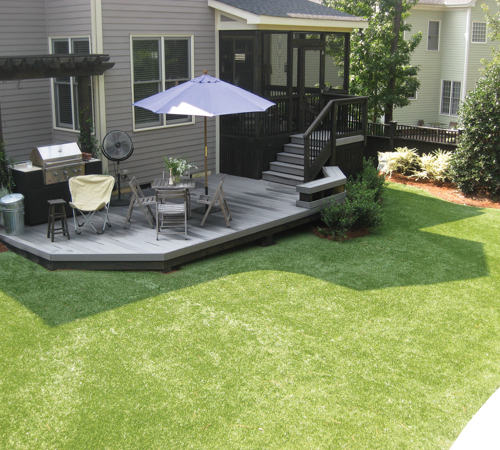 We even offer pet-friendly solutions that both you and your pets will love. 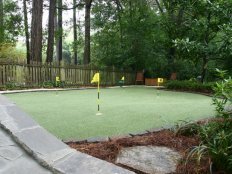 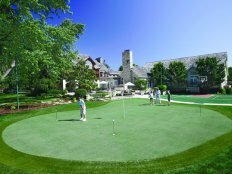 As an authorized dealer and installer for VersaCourt Court Tile, Tour Greens Charlotte offers a wide selection of multi-sport game courts that can be completely customized. 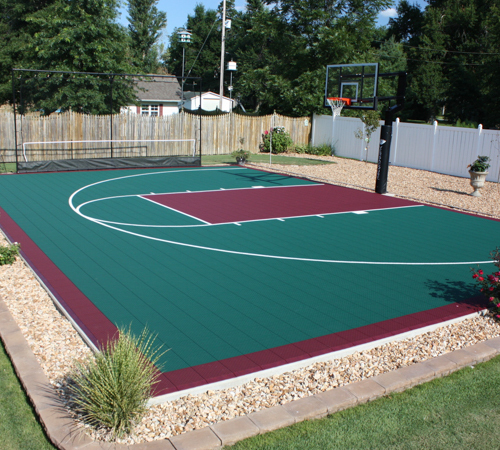 From backyard basketball courts to a multi-game court solution that can host a variety of sports and activities, our team can design and install a court system that meets your activity and aesthetic requirements.